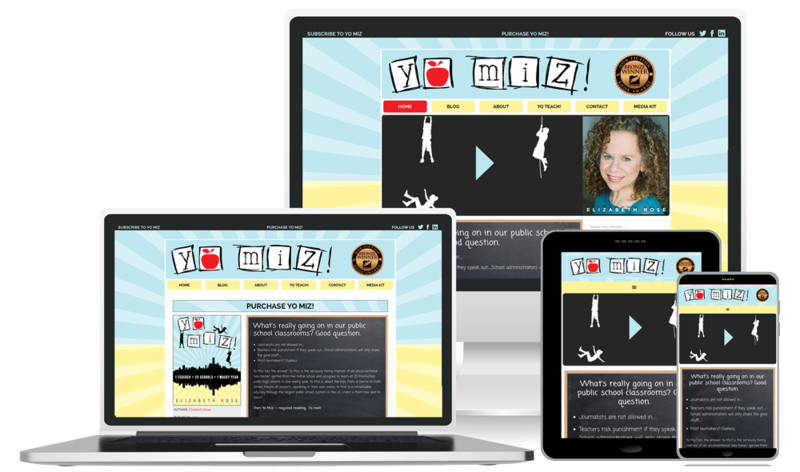 Yomizthebook.com is the official home to the award-winning novel Yo Miz! by Elizabeth Rose. The book is “the seriously funny memoir of an unconventional “edu-tainer,” ejected from her home school and assigned to teach at 25 Manhattan public high schools in one wacky year.” And we can’t say enough good things about the book or Miz Elizabeth Rose, author, musician and activist all in one! We had the honor of working with Elizabeth on the design and development of her official book site, as well as her official blog and book purchase portal.